Made to Order doughnuts from Pips Original. Do I even have to tell you how awesome this place is? If you follow me on Facebook or Instagram you will see me post pics often and just for the record I live about 35 minutes away. Now that’s commitment to a little donut. I do rant and rave about the donuts, but I also want to make sure you know that they also have these delicious chai teas. Not just any chai tea, they make them from scratch and I’ve been told by the employees that it’s a painstakingly long process to make a batch, giving you the best chai tea out there. If you missed it, you need to read the article recently put out by Portland Monthly describing these chai teas and the process it takes to make them. Then you need to get one! You might wonder why I will literally drive all the way across town for these little donuts. I won’t lie, it’s not just the donuts, I love everything about this place. The way it feels, the attention from the all the employees, the neighborhood, all of it. I love the whole package. I know you have heard me talk about Word of Mouth in Salem a lot. The owner is what makes that place stand out. The same goes for the owners here at Pip’s. They are incredibly gracious and they want nothing more than to make you happy and love your experience. I think we can all certainly say that’s not true for a lot of Portland places. So when you experience it, all you want to do is drive all the way across town to support it. Not just birthday donuts. Birthday donuts with a message! I promise you Nate has never paid me to write good things, nor has he given me free food, aside from my Birthday donuts. I genuinely love this place and I want everyone to know about it. I have brought numerous friends and out of town guests here. Everyone loves it as much as I do. Make sure you like Pip’s Original on Facebook so you can see when new flavors come out. He also does random deals. Basically things you don’t want to miss. He also made the move to Twitter recently and is planning something once they hit 500 followers. 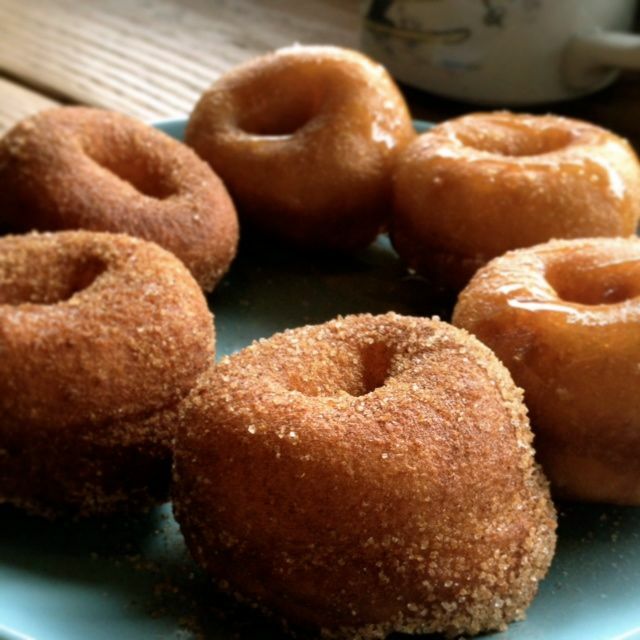 Why Do YOU Deserve these little donuts and/or chai teas? Be creative. I will have a friend help me choose 2 winners from your comments. Each winner will receive a $10 Gift Certificate. The giveaway ends on Sunday, Feb 9 at noon. Winner will be announced later in the day. This giveaway is now closed. My husband and I have only live in Portland for 8 months. We had not even heard of Pip’s until reading your Facebook page. Why do we deserve winning this contest? Where we came from the small town was a culinary desert. The only donuts available are from Albertson’s, Safeway and Wal-mart. Chai? The citizens of this small town don’t even know how to pronounce Chai let alone know what to do with it. We didn’t walk away from this city lightly, we RAN! Thank goodness we found eatingmywaythruportland.com to help guide us thru this culinary wonderland! 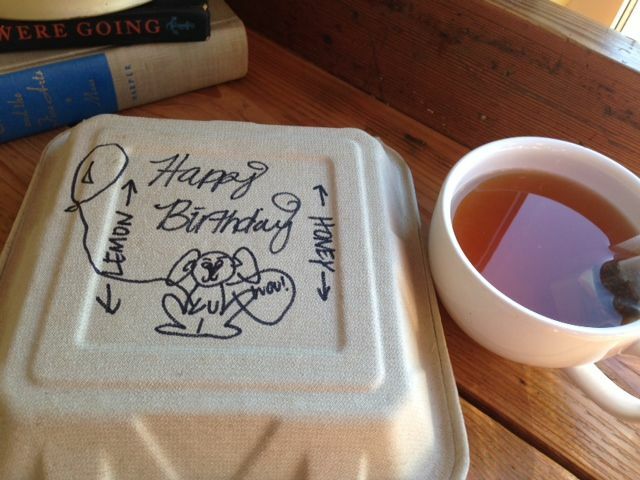 Pip’s and Chai…Huzzah! I have never tried PIPS Donuts yet, Would love to take my husband for a treat or break from taxes! He alway on his computer doing someones taxes, so I would make a mini date and try a local food cart, with a finale at Pips!! Love following all your blogs posts wanting to try a lot of the places you have tried!